Yee-freakin-ha is what I’d say to this recipe! 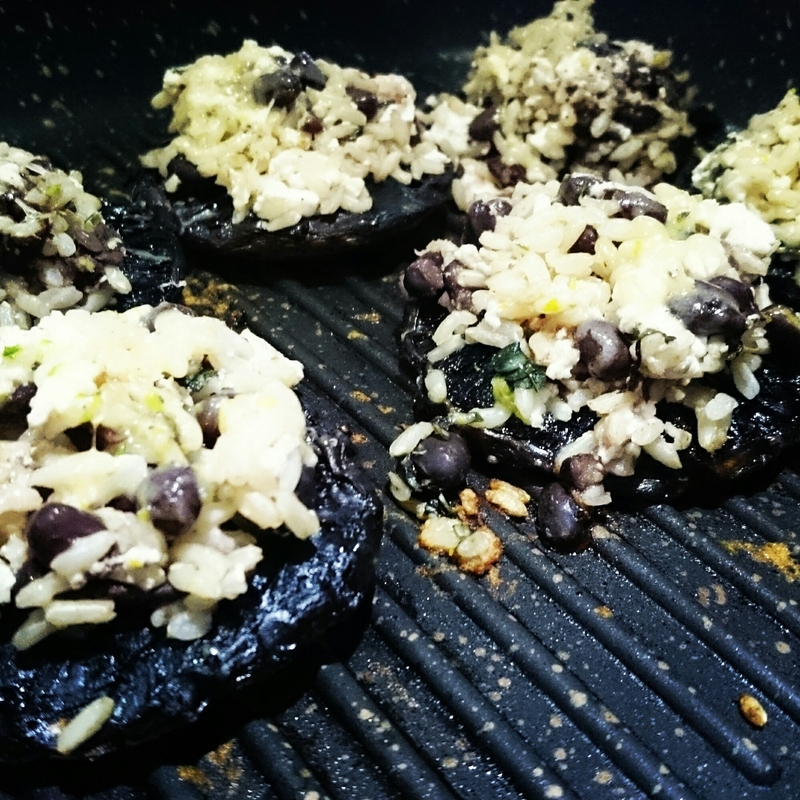 Grilled or stuffed mushrooms are for vegos and meat eaters alike! They’re so damn good and I’m really happy with how these little fellas turned out. Did you know mushys are one of only a few food sources of Vitamin D?! Not only that…..they’re a good non-haem protein source that also contain potassium, selenium and niacin. Give ’em a go. Cheap as chips, nutritious and bloody tasty. Oil the mushrooms and place gill side down on a griddle pan that is on medium heat. Grill for 5-6 mins. Meanwhile, combine the rice, lemon zest, chilli, mint and fetta, as well as a little bit of water and heat in a microwave or on the stove until warm and starting to come together. Turn the mushrooms and place two tablespoons of the rice mix on top of each one. Finely grated the tasty cheese over the top of the mushrooms. Continue to cook on medium heat with a lid on for 6-8 mins or until the mushrooms are tender. Serve hot with a fresh salad and some fresh crusty bread or potatoes/sweet potatoes.